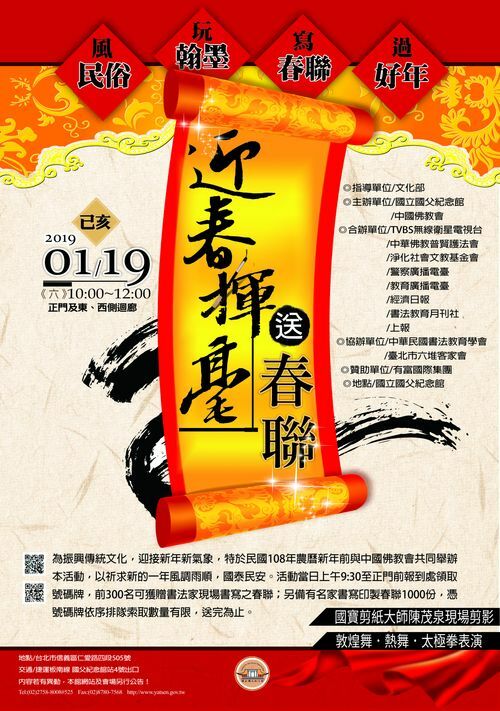 Taipei, Jan. 14 (CNA) A traditional Chinese calligraphy couplet event, featuring over 100 calligraphers, will be held by the Sun Yat-sen Memorial Hall in Taipei on Saturday to welcome the arrival of Chinese New Year. 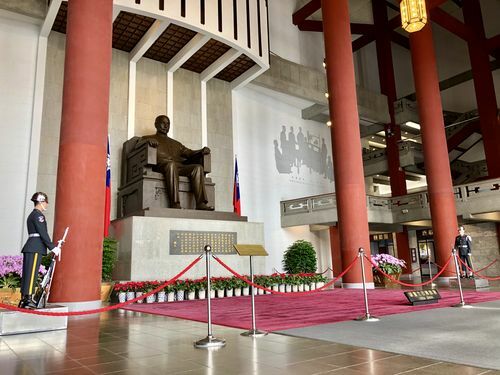 The event, which has been held annually for over 30 years, has invited 108 calligraphers and 70 distinguished guests, including Taiwanese entertainer Mickey Huang (黃子佼) and opera star Chen Ya-lan (陳亞蘭), the memorial hall said in a statement. The couplets to be written by the calligraphers will contain auspicious phrases for people to embrace the new year, and numbered tickets will be handed out on a first come-first served basis to visitors who would like to take a couplet home with them, the statement said. Other activities at the event will include paper silhouette cutting by paper cutting master Chen Mao-chuan (陳茂泉), and traditional Dunhuang and modern dance performances by Taipei City Datong Community College and Taipei First Girls High School. There will also be a tai chi demonstration by members of the local community, the memorial hall said. The event will open at 10 a.m. and run to 12 noon, with the numbered tickets for couplets to be handed out starting at 9:30 a.m., the memorial hall said. 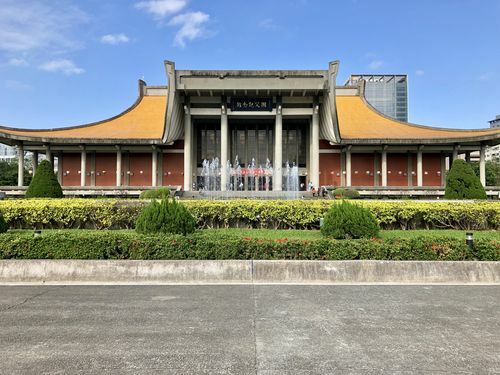 More information can be found at the National Sun Yat-sen Memorial Hall website at https://www.yatsen.gov.tw/.